Joy is not about circumstance but our perspective. If we look to Jesus, we can choose it every day. The Bible seems to be pretty clear on joy. It’s so clear it repeats it twice! So why do we as Christians struggle with not being happy? The pursuit of happiness is ultimately pretty empty. Society tells us we should chase this emotion and our culture is fundamentally structured to try and obtain this unobtainable feeling. We make resolutions, promises and Pinterest boards. We aspire to get that job, those friends, that mark or that man. And yet, when we are there, we are still not happy, and we wonder why. However, it is important to understand that joy is not happiness. Happiness is a fleeting moment - that bit between starting a family size bag of M&Ms and the instant regret when we are unable to move after. Joy is deep rooted, a satisfaction with knowing who we were created by and therefore who we are. Happiness is circumstantial, whereas I truly believe that joy is a choice, always. Joy is not about circumstance but our perspective. 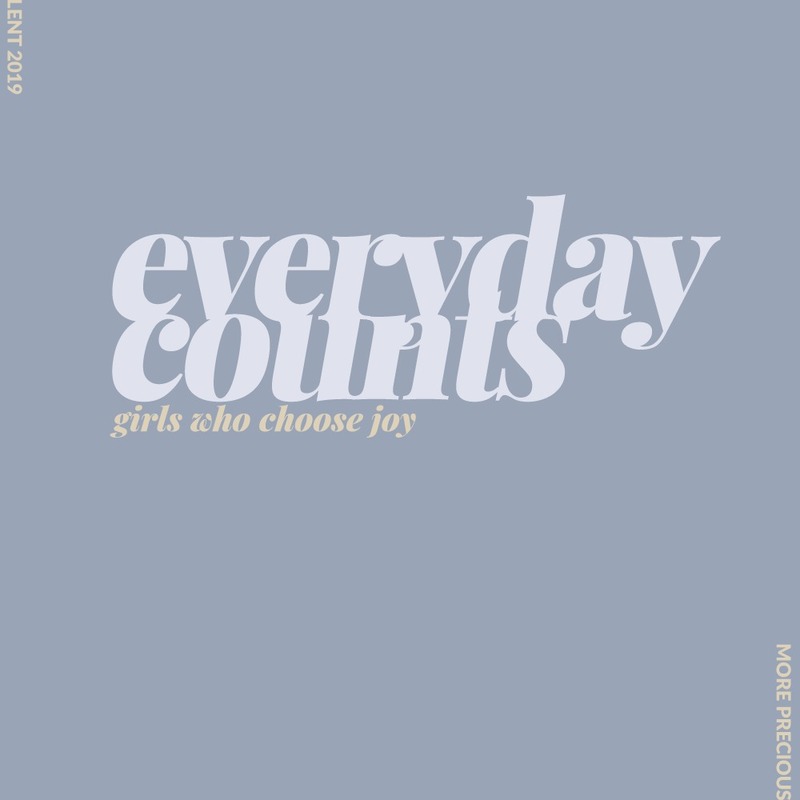 We can choose it every day. 1. Joy is about perspective. When we look purely inside ourselves and are overwhelmed by our problems and frustrations it is easy to be preoccupied by selfishness. We start to doubt that God is good, and we are painfully aware of all that is not being fulfilled to our plan. We start to think about ourselves more and ergo think about God less. This sounds so silly on paper, but it is so easily done. Our view of God is obliterated by ourselves. I believe that we have been called out of ourselves. That is out of our minds, our problems and gripes, and into a relationship with God. That signals an end to our self-centric universe, and it is here that we begin to find joy. When we look for an eternal perspective rather than an internal one, we start to grasp the joy of our salvation. Then, even in the toughest times we are able to give thanks, and overflow with joy. "Give thanks in all circumstances; for this is God's will for you in Christ Jesus." For when our perspective is moved from being inside to be outside ourselves we can see that God is good. We understand that often things are being worked out in ways that we cannot fathom. We are freed from our selfish natures to give thanks, and serve those around us. We come again to wonder at the marvel of the cross, and in doing so, leave room for nothing but joy in our hearts. “Rejoice that your names are written in heaven." My favourite Bible verse in the whole world has to be the conclusion of Psalm 23, after David (the writer of the psalms) has described the goodness of God as our shepherd, and that even in our most challenging situations, he is our protection. He writes "my cup overflows with joy." If we are living as our life overflows with joy, it means the lives of those around us will be flowed into by that overflow of joy. When we are thankful, and in awe of the goodness of God, this is powerfully shaping our attitudes to those people we encounter every day. In our joy we point fundamentally to Him whose joy is in our hearts. Let’s be radiant with joy, as we look to God as the giver of every good thing. Last week we asked you to look up your favourite clothing brands to see what they are doing to combat slavery in their supply chains. Hopefully this was interesting – but you might not like what you found out. Businesses change when they know that we care. This week, we’re challenging you to tweet or post on Instagram telling your favourite brands that you love their products, but you want to be sure that you’re buying something made fairly. Annie, a Durham University graduate, is passionate about ending the demography of destiny, by working on raising children’s aspirations and breaking cycles of unemployment and poverty.